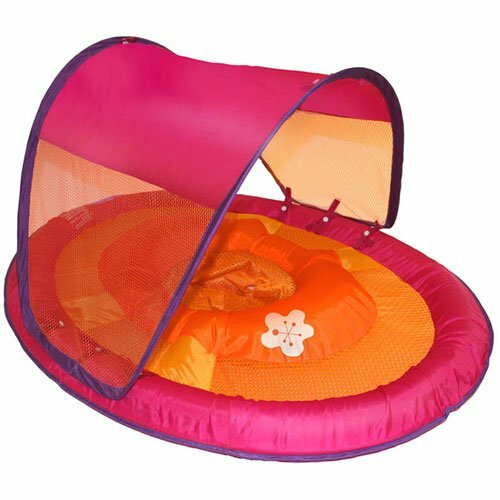 “Have you found any pool toys for babies that isn’t toxic?” is one of the most frequent questions I get on this blog. 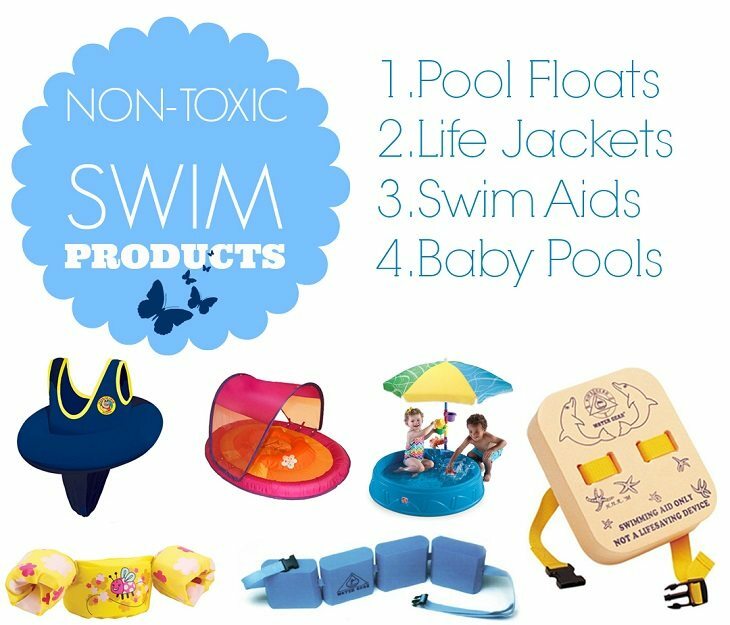 The reality of the pool and water related toys is very bleak with nearly 95% of the items made out of PVC/vinyl (Why PVC is bad? Read here). And yes, some companies go as far as to say that their pvc is phthalate complaint ( which means they can still have extremely harmful phthalates but in lower doses), or phthalate free, but that does not rid the products of potential lead contamination along with the off-gasing of PVC. When it comes to pool toys, sometimes we simply don’t have a choice. Sometimes phthalate free PVC is all that we get. Which is fine as long as you make an educated decision and know the risks. So I have compiled a few products that I have found in the sea of toxic items. This time I didn’t get to take personal pictures of Lexi using these items for lack of time and the desire to not take too long before I get this post out. 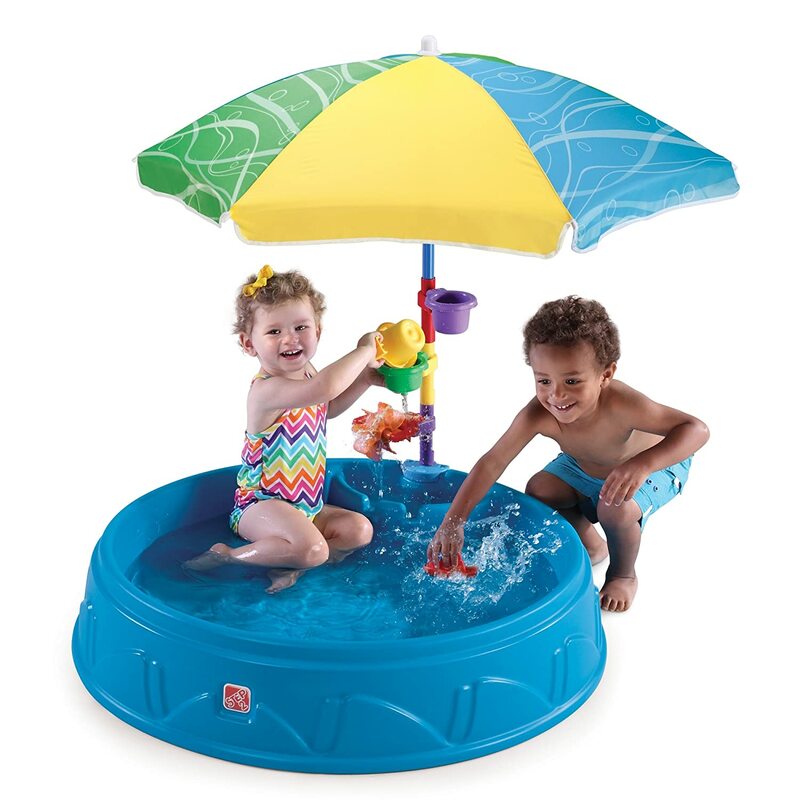 Unfortunately, I can no longer find the pop up pool we bought made out of fabric, but there are a few non-PVC alternatives out there that work just as well. Basically, anything hard shelled should be good. If it blows up, it’s PVC. This pool from Step 2 isn’t very big but made out of safe plastics. This one is a compromise. I couldn’t find any baby floats that had no PVC. This one is made mostly of polyester with only 35% pvc (as far as I remember at this point). This was good enough, compared to all the other floats made solely of PVC. 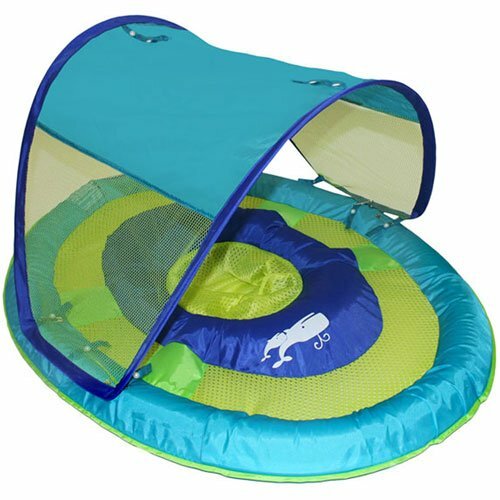 The best swimming aid to help your baby learn how to swim are these types of devices. They don’t constrict their movement, especially their arm movement like that traditional wing suits below, and don’t help too much with the balance. All they do is help with the floating part, so that the kiddo could learn to balance and swim on their own with some floating help. The back float is here and the swim belt is here. Luckily they are made of EVA foam which is relatively non-toxic. There are some concerns about an odorless gas, called formamide in EVA, but if you let it off gas for 30 days, it will be completely gone. Sometimes you just want to let your kid experience water on their own without having to hold them. 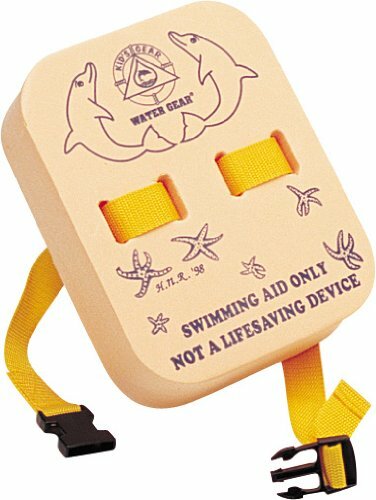 In those cases these life jackets are perfect for them to be used on a boat, or in the water when learning how to swim. Another option for a flotation device would be this rubber tube suit. It’s made of nylon and rubber rather than PVC. It works really great and looks adorable. Let me know if I forgot anything, I will try to add it. I just wanted to say that the Stearns puddle jumpers are made for children, not for babies. The minimum weight is 30lbs. 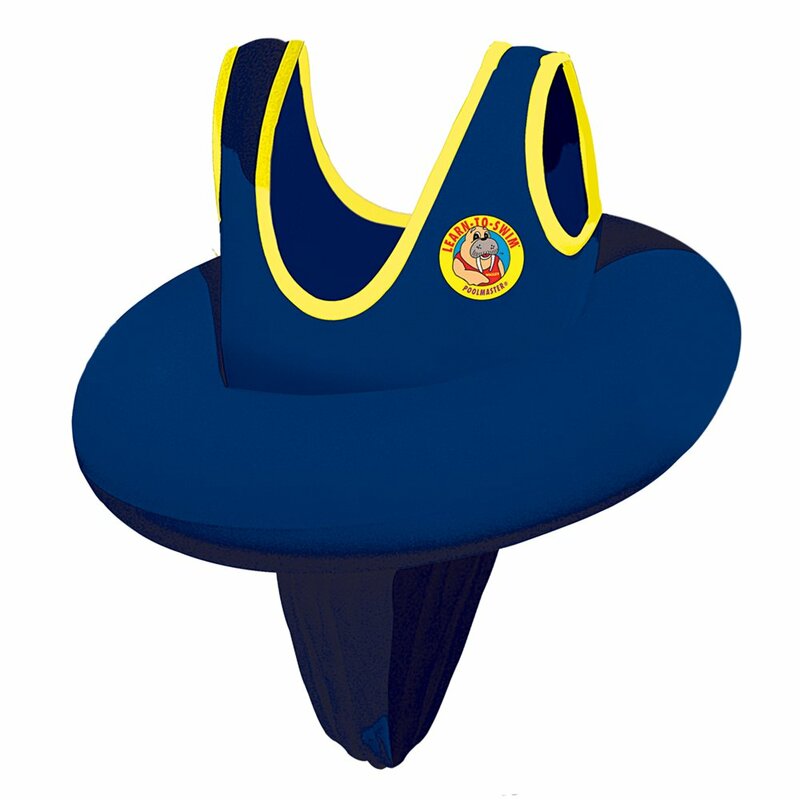 For an infant (under 30lbs), you’d want something like this: http://www.stearnsflotation.com/Antimicrobial-Nylon-Infant-Vest-P70.aspx#.Uguu52S_d9Q with a head support. I’m all for non-toxic pool toys, and these look like good ones, but isn’t the pool itself pretty toxic? I don’t know how I feel about having my toddler bathing in all of that chlorine, plus most pools have vinyl liners. Maybe I’m being too paranoid, though. However how do you know what’s toxic what’s not and do you trust the manufacturer when they say what the toy is made of? In US, the land of CYA, companies would be foolish to misstate something on their website or in an email when it comes to ingredients and materials. They would get sued. Plus reputation is everything in juvenile manufacturers’ world. One bad word about a company and things go downhill from there. I’m sorry Elena but companies have and will continue to lie about their products to benefit their business. They do not care about the human factor, only the $ factor. If you think otherwise than you are sadly mistaken. So I do trust what they tell me in terms of ingredients and when it comes to contamination (like lead, cadmium, etc), I just try to stick with smaller companies that don’t have an in house testing but instead submit to third party testing.